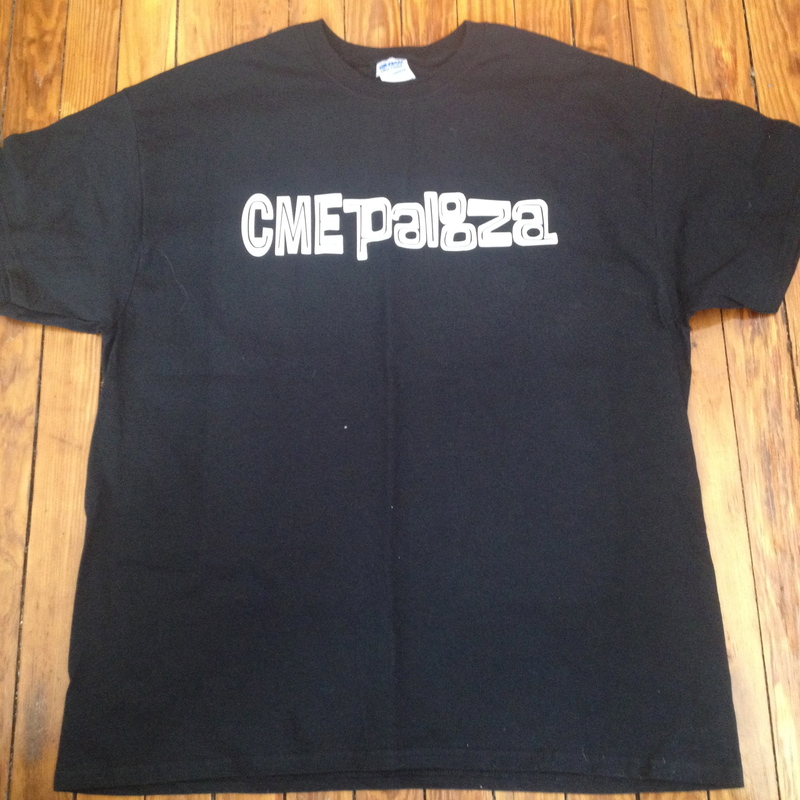 On a whim, I asked my brother-in-law, Greg – owner of the fantastic GreAT Signs in Bird-in-Hand, PA (yes, thats the name of a real town, shut up) – if he could whip up a CMEpalooza T-shirt using the Lollapalooza font. I thought it would be funny. This is what he came up with and I think it looks great! I posted a picture of it on Twitter and, to my surprise, a couple people asked about buying one. I hadn’t really considered that, but, yeah, sure, Greg says he can do that. So, if you want to purchase one, just send me an email at dwarnick@theCMEguy.com and we’ll make it happen. Cost is $15. I’m currently working on the schedule for CMEpalooza and hope to have something by the end of the week. Since we now have 21 presentations scheduled and almost 10 hours of presentation time, it’s very likely that I will be spreading it out over two days (March 20-21). Stay tuned for updates! ***UPDATE: I’m told you can choose “any color you want” for the T-shirt and PayPal is an option for purchase. What a world we live in. Timing is perfect since #NYFW is happening as we speak. This is a fashion statement on another level. Thanks, Derek, for keeping my look cutting edge.